Fabric :- Top - Rayon With Embroidered Work. Fabric Details : Denim, Concept : Straight With Silai Pattern. 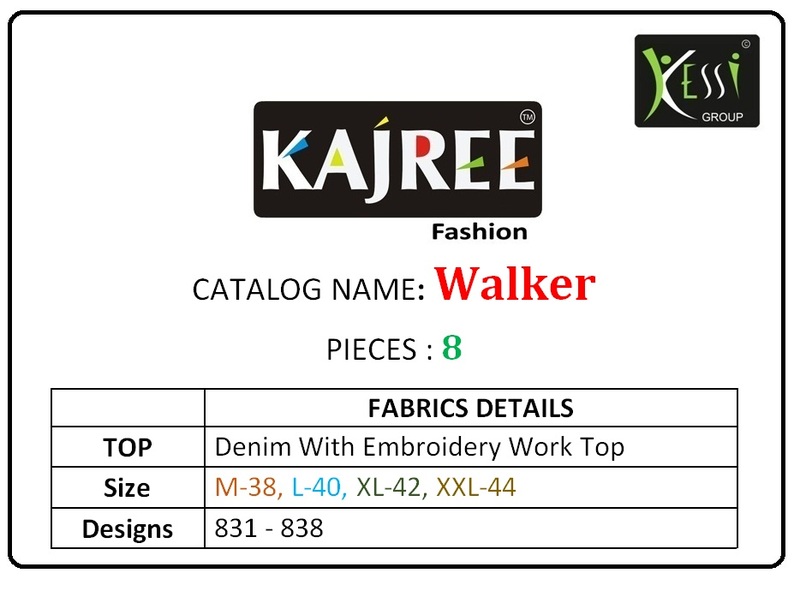 Fabric Details :- Denim With Embroidery Work Kurtis. Fabric Details : Denim kurti collection. Fabric Details : Denim Pure Silk Fabrics With Designer Work Style Topd Pattern. Fabric Details : Plain And Printed Cross Dye Denim Cotton. Fabric Details : Combination Of Denim With Flowing Fabric.